Simon Chu is your head guide and instructor. Cory gets a great brown out of technical flat water! 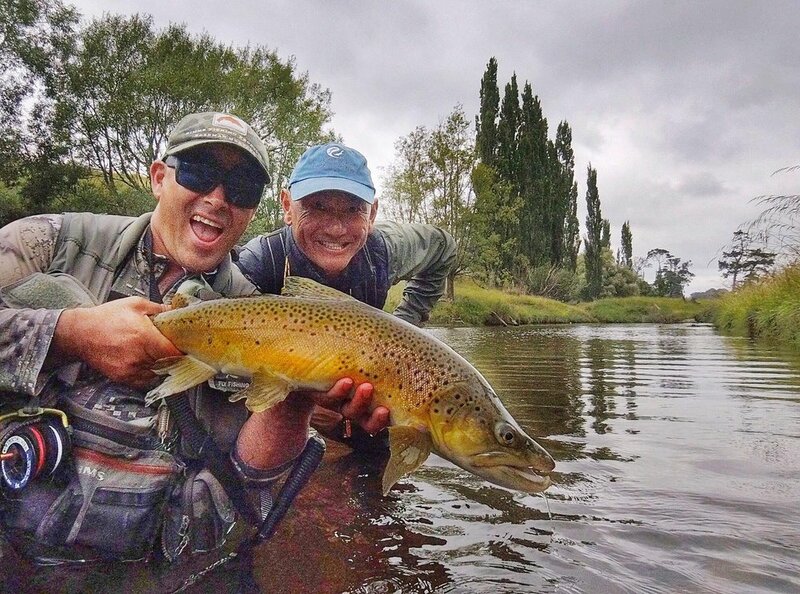 To provide memorable flyfishing experiences and meaningful instruction so that when we share a day together we celebrate success through laughter and friendship. I am a proud New Zealander (Kiwi) who has flyfished for over 35 years and have personally guided and been involved in the fly fishing industry for over 30 of those. I taught my first fly fishing school and hosted clients in 1989 and have recently decided to guide and instruct full time. I have fished internationally and guided clients from around the globe. I've hosted trips in the North Island (NZ) for saltwater species and trout and know intimately the pristine rivers and streams of the South Island. I am now permanently based in Bozeman, Montana in the USA and Lumsden, Southland New Zealand for each respective summer for hosting, guiding and instruction. Both towns are situated on the 45th parallel - ideal locations for amazing angling adventures. I am an ambassador for Manic Tackle (NZ) and only use and make available the very best equipment for clients. I have been in education much of my working career and like nothing better than working with clients to customise their experience, whether you are just starting out or an experienced angler seeking that special day in the back country or working on technique and advanced skills. I am gaining certification as a certified casting instructor, seeking NZPFGA membership, a first aider and self confessed flyfishing addict. I have published in numerous magazines, podcast with the Itinerant angler, featured in short videos and designed several commercially tied fly patterns. I am currently writing a book on the mind set of elite anglers and can't wait to share my knowledge of local waters and flyfishing with you.